Find out more about the leading free cyber security software for small business. Includes frequently asked questions. Free cyber security software is used to protect computers and computer networks from viruses and cyber attacks. With the right cyber security system, your small business can protect valuable data and keep its systems running smoothly. Can I trust free antivirus software? All of the free virus protection programs listed above are delivered by trusted names in the software industry. 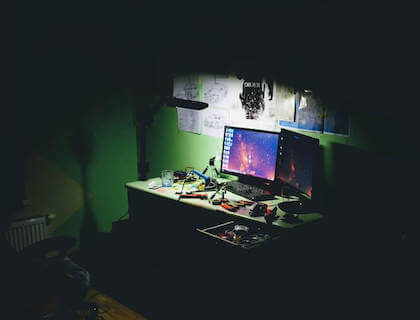 The features of free antivirus programs may be limited, but they do offer protection that will help to insulate your computer from cyber threats. Can free computer protection programs guard against cyber attacks? Products like Norton and Kaspersky can protect your system from hackers, but these programs are only free for a trial period. For the best protection, you should select a paid plan. Some free virus software is only designed to protect your computer from viruses, not hackers. Names like Norton and AVG are among the most popular free virus software solutions, but the best solution for your business may depend on threats or risks that are specific to your industry. An IT professional in your organization should review your options to find the best fit.